The idea for bespoke, low flying safaris was born when Capt Torben Rune, Capt Aslam Khan and Mr Severin Schulte purchased an executive Grand Caravan for their private use. Torben and Aslam then invited a group of friends - all seasoned travel professionals - on a journey of discovery and adventure. With extensive planning and following routes not often flown, the journey began. Flying down the East African coast of Kenya, Tanzania and Mozambique, they turned inland, onto Lake Malawi and then followed the mighty Zambezi river all the way down to Victoria Falls, onward to the Okavango Delta, and finally into the Kalahari desert. Within this epic, pioneering flying safari that covered some of the best that Africa has to offer; Scenic Air Safaris was born. The breathtaking low flying experiences of land, sea and sky, were too spectacular not to share with a wider audience. 9 years later, we continue to pioneer unique routes, locations and the same magical experiences. Come and join us, and let’s explore together. A committed wildlife conservationist and private pilot for the past 29 years, Torben has vast experience within International Tourism. 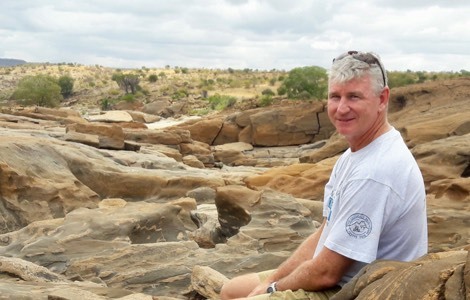 He studied Marketing and Business Studies in South Africa, returning to Kenya where he managed Southern Cross Safaris as a partner and Managing Director. A trustee of the Satao community and wildlife trust and past trustee of the East African Whale Shark Trust. Torben is an outdoors enthusiast, and founding partner of the internationally-acclaimed 7 to 3 Kilimanjaro Mountain bike challenge. He is also an avid ‘Rhino Charger’ leading the team as the driver of car No.28 in the annual Rhino Charge Off-road Rally in Kenya. His team raises in excess of US$ 15,000 every year for the noble Rhino Ark. 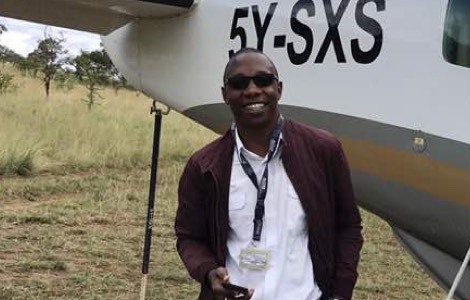 With his passion for tourism and for aviation, Simon first ran a destination management company in Kenya before moving to Scenic Air Safaris to oversee its marketing development programme. 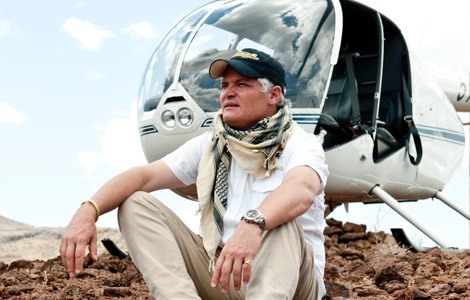 Always looking for fresh ideas and markets, he takes particular pride in innovating all-new and utterly unique flying safari experiences, designed to showcase the extraordinary wildlife and landscapes of his beloved continent. An avid outdoor enthusiast who cares deeply about the protection of endangered species, Simon never travels without his fly rod, or a fabulous sense of humour. 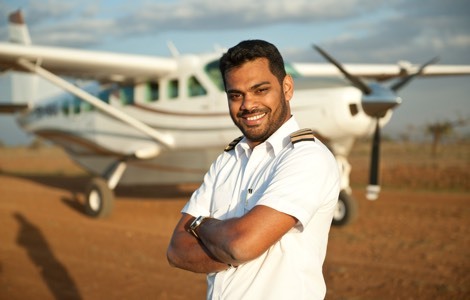 Murtaza ‘Ice Man’ Walijee leads our team of pioneering aviators, with over 5,000 hrs of bush flying in East Africa. He is also a certified flight instructor with an instrument rating. He relishes the challenges of 'bush flying' and in particular, flying and guiding our Ultimate Across Africa flying safari. A great story-teller with a trove of incredible experiences, Murtaza’s favourite flights are over the wildebeest Migration in the Masai Mara and Serengeti, the Pink Flamingos over Lake Natron and the low level scenic flight over the Mahale Mountains on the shores of Lake Tanganyika. A smooth flier, Sam brings alive what he calls ‘my own Africa’ with expert, engaging commentaries on all that lies below. Sam is instrument rated, and a certified flight instructor with over 4,700 hrs of bush flying experience. He originally wanted to be a doctor but, thankfully for us, chose to become a pilot instead, adapting his calm bedside manner to loftier altitudes. Sam loves discovering new off-the-beaten-track destinations and unusual game. A favourite with our guests, he makes it his business to get clients up close and personal with the remarkable wildlife of East Africa. 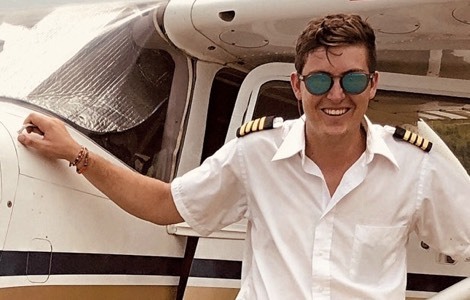 Captain Ryan Outram is our dashing young man flying couples and honeymooners in our turbocharged Cessna 206, to bush strips around Kenya and Tanzania. Having spent his childhood on a farm on the slopes of Mt. 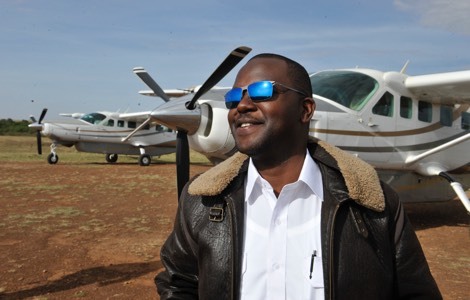 Kenya, staring skyward at farmers flying to and fro, he followed his dream of flying, graduating from the well known Flying Frontiers Bush Pilot Academy in South Africa. With a keen sense of adventure, he enjoys the challenges of flying off the beaten track and the excited reaction of guests witnessing their first sightings African wildlife from the air. Ryan is a passionate outdoors enthusiast, active conservationist, water skiier, kite surfer and the perfect gentleman host. Born in The Kingdom of Swaziland, Darryl spent his childhood in Africa’s smallest country before moving to South Africa to study and to follow his dream of learning to fly. Before settling in Kenya, Darryl has lived, worked and flown throughout East, Central, and West Africa, gaining some invaluable bush flying experience. 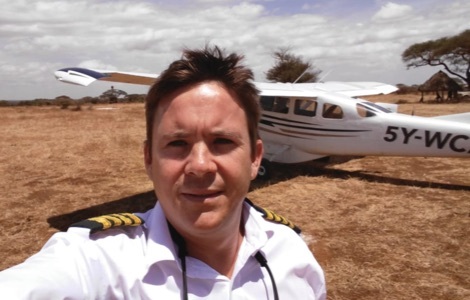 Since his arrival in Kenya, he attained his Kenya commercial pilots license (CPL), moved to the beach and is now ‘living the dream’ of flying guests in a Cessna 206 to both coastal and safari destinations within Kenya. Sharlet is our first point of contact at Scenic Air Safaris. Passionate about discovery and adventure, her travels and experience within the aviation business have enabled her to realise her dream; to mix air travel and wildlife as a career. Her favourite destination above all others is the Masai Mara. 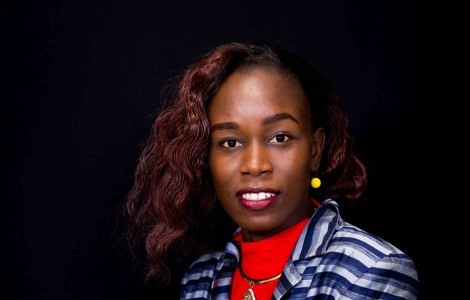 Sharlet holds a Bachelor of Business Management, with marketing and a diploma in Cabin Crew and Ticketing. Her experience is the glue that binds our sales and operations together. Born with a permanent smile, Felix is our man ‘that can’- always on hand to meet our guests and ensure fuel, bags and people are on time and onboard. With nine years of flight operations experience, Felix holds a Diploma in Flight Dispatch Operations and is based in Nairobi. How safe is flying in Africa? Extremely safe, provided you choose an air operator who applies and adheres to the required safety standards for maintenance and safety, and uses experienced bush pilots. That will depend on how many people are on board and how far we need to fly. Generally for flying safaris, we say 15 kgs packed in soft bags. For private air charters, we always advise you at the beginning of your enquiry, as weight is route dependent. Anytime is a good time to travel to Africa. What you want to see and where you would like to experience will depend upon the most suitable season. For example; to see The Wildebeest Migration in Kenya, July to October is best, while the Migration in Northern Tanzania occurs in May to June, with calving season in February and March. Some seasons are sunnier than others, so ask and we will be happy to explain how it all works. Will I need a visa to travel to countries within Africa? That all depends on your passport. Some visas can be obtained on arrival and some visas must be applied for in advance from your country of residence. Ask and we’ll let you know the best way to do it. Some inoculations are recommended. Your medical practitioner is the best person to advise which ones, as many are area or region specific. We advise all our guests to take a course of anti-malarial tablets. Again, your medical practitioner or tropical disease centre are the best people to advise on this. Africa is as safe as most places in the world. Take the necessary precautions to secure your valuables and to travel with reputable companies and you will no doubt have a fabulous time. How safe will I be from wild animals? As long as you don’t attempt to touch wild animals there is no reason to be afraid of them. Generally, most game viewing takes place from the security of an elevated 4x4 safari vehicle which animals see as a solid object. Some camps and lodges are fenced and some are not fenced, but have local security guards posted at strategic points to ward off any wandering animals. Provided you stick to marked pathways in camps and lodges and follow the advice of your safari guide, there is no reason to worry. How many people can travel on your aircraft? That depends on the route we fly, the destinations we fly to, altitude, airstrip length and weather. Over short distances and longer bush airstrips, we recommend 10 passengers maximum on the Executive Cessna Grand Caravan and four passengers on the smaller Cessna 206 Stationair. When flying across borders and landing at different airports, isn’t it very cumbersome, challenging and time consuming? Not at all; through our experience of pioneering unique and less travelled routes, we favour the use of smaller airports. Forget about security lines, taking off your shoes and emptying your pockets. Our team has worked hard to put in place tried and tested systems to ensure VIP clearances, and that customs formalities are timely and efficient. Smaller airports mean a faster turnaround and are generally much more efficient than using scheduled flights through larger airports. I am rather afraid of smaller aircraft but love the idea of a flying safari - help? Being a little afraid of flying is actually a normal ‘self preservation’ instinct and we are used to being asked this question. Our pilots are all certified flight instructors and have a good, tried and tested ways of making our guests feel comfortable and at ease with flying in smaller aircraft. Just let us know if your ‘self preservation’ instinct is higher than normal and we will hold your hand from start to finish. How do I book a flying safari? We firmly believe in personal contact, so click the ‘contact us’ link and send us an email with your contact details and we will get straight back to you. If you would like to chat, we can also chat to you on the phone or on Skype. If you don't find your question here, feel free to ask our team.